The newest casino in Maine generated over $65 million in net revenues over its first year of operation, exceeding its original predictions as well as the revenues of the state’s other casinos. The Oxford Casino made about $53 million in revenues, the money lost by gamblers, from slot machines alone between June 2012 and May 2013. A further $12 million was made from table games such as blackjack and roulette. The manager for the Northeast Gaming Research Project at University of Massachusetts Dartmouth, Clyde Barrow, said that the casino should consider its first year a success. He said that slot revenues were as predicted while table games surpassed expectations. 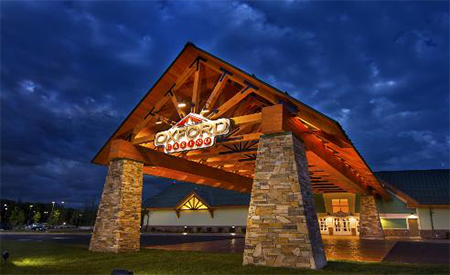 On average the Oxford was earning $197 each day per slot machine in March and $1,835 from each table game. This far surpassed the predicted $1,232 per table game.